As a research and evaluation company for business enterprise software solutions, Technology Evaluation Centers (TEC) uses their unique web-based technology to evaluate solutions without representing or reselling any specific software. The TEC report highlights Salient’s dedication to providing decision makers with practical and powerful visibility, control, and analysis. 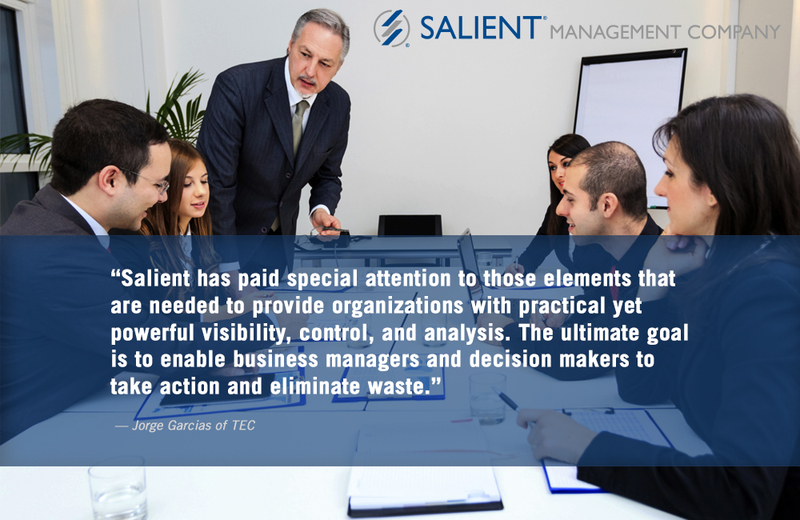 By enabling employees to take action and eliminate waste, Salient’s solutions provide clear insights to organizations, so that any company can take advantage of new opportunities and maximize growth. Read the full TEC report here.